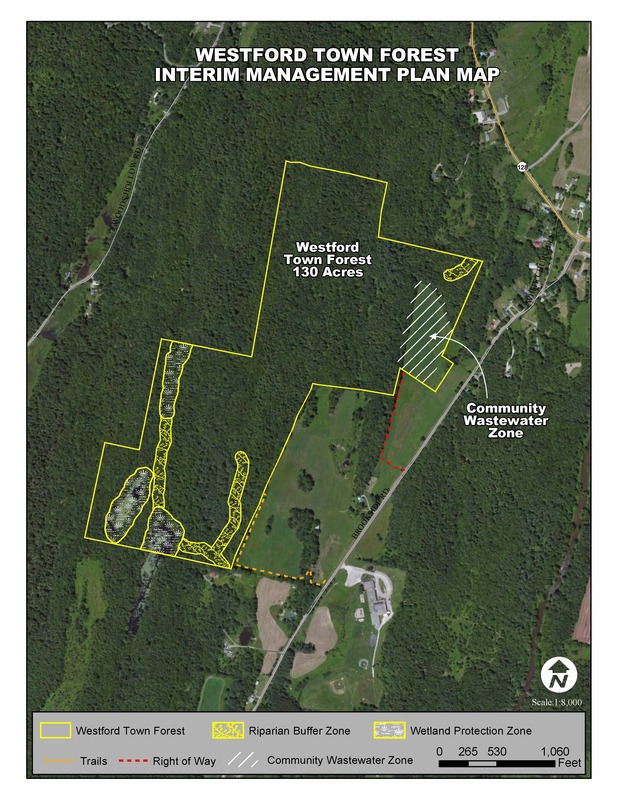 We are very pleased to announce that the Town of Westford and the Pouliot Family have purchased the forestland and farmland associated with the Jackson Farm & Forest Project! Stone Environmental Inc., Green Mountain Engineering Inc., LaRose Surveying P.C., Catamount Color, Rover’s North Inc.
Everyone who showed their support! We’ve met our fundraising goal! Thanks to the generosity of many Westford residents, we have met our initial private fundraising goal of $50,000 to help acquire our Town Forest and permanently conserve the historic Jackson Farm. All remaining gifts that we receive will go to the town’s stewardship of the land and improvements to public access. 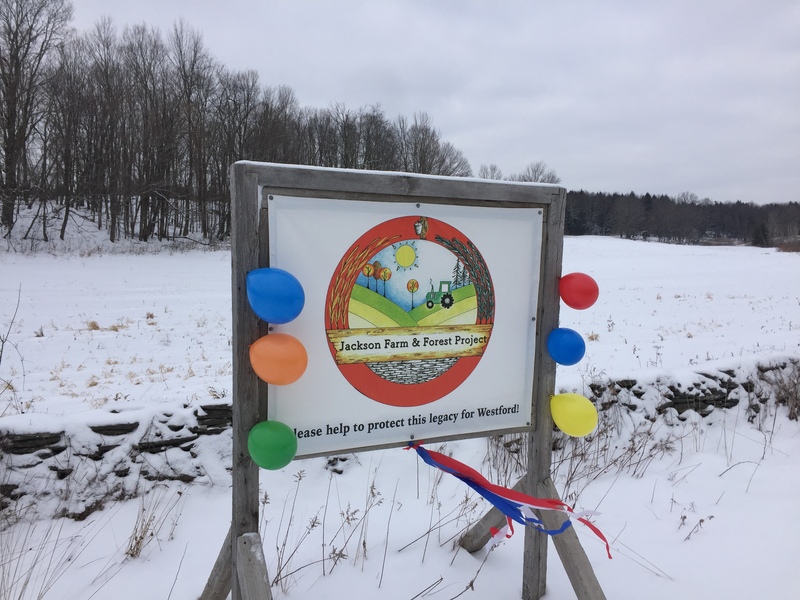 Every tax deductible donation to the Jackson Farm and Forest Project will reduce the Town’s reliance on future grants to fulfill these goals for the stewardship and public enjoyment of the Forest! On November 8, the Town of Westford took a step toward creating a legacy for our community when we voted to save the Jackson Farm and establish a new town forest. Congratulations to Westford! 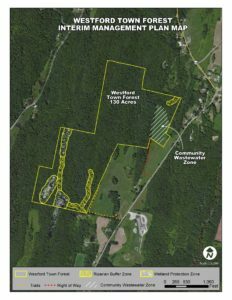 The Town of Westford hereby gives notice to the legal voters of the Town of Westford of Notice of Sale of Municipal Real Estate to convey the development rights, a perpetual conservation easement and restrictions, and a public access easement in and to a 130 acre, more or less, parcel of land located westerly of Brookside Road (Jackson Farm & Forest) to the Vermont Land Trust and the Vermont Housing and Conservation Board. Click here to view the notice in its entirety. 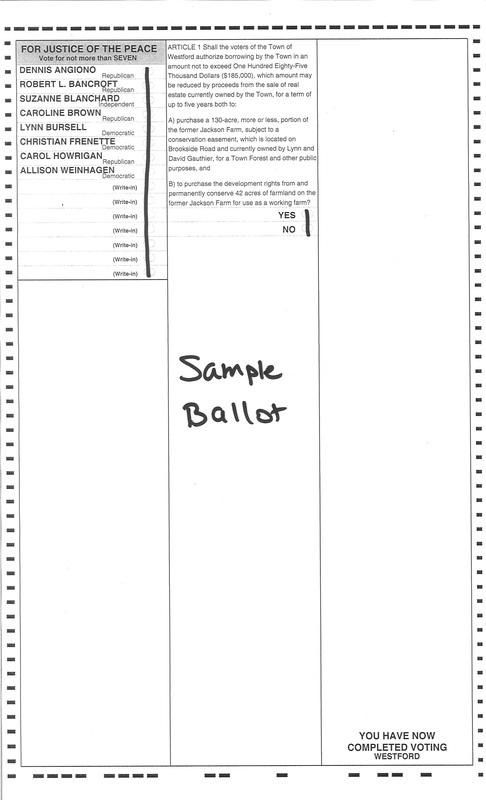 Voter Registration Deadline: Wednesday, November 2, 2016 at 5 p.m.
Absentee Ballot Request Deadline: Monday, November 7, 2016 at 5 p.m.
Australian Ballot Voting Hours: Tuesday, November 8, 2016 from 7 a.m. until 7 p.m. at the Westford School Gymnasium. 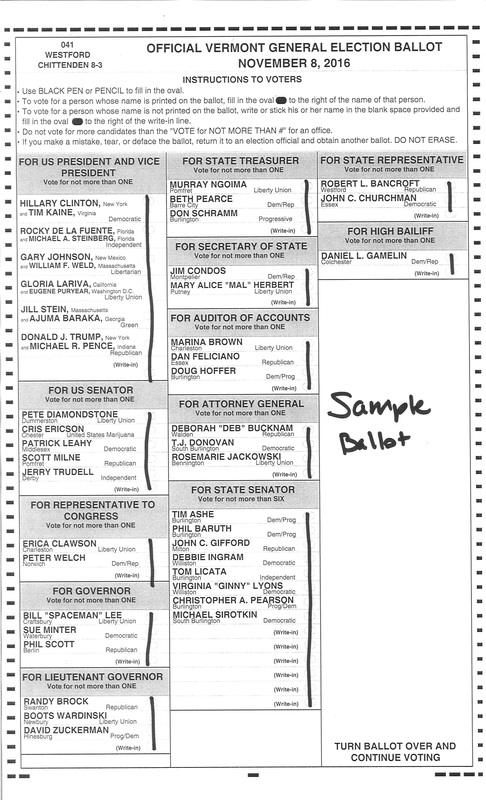 *Please note, the Jackson Farm & Forest article appears on the back side of the General Election ballot. What is the Jackson Farm & Forest Project?